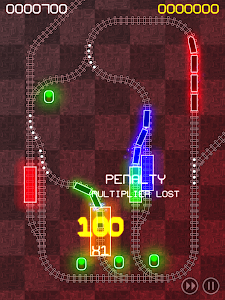 The next version of ElectroTrains should be available in the app-store now. I've rebalanced the volume of some of the sound effects (like the express horn!) 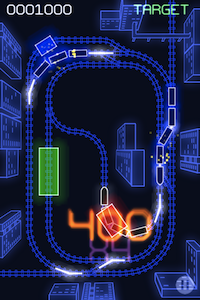 and also added a volume control to the pause screen. There's also a new about screen, and most importantly, a Medals screen which shows any medals you earn during the game. 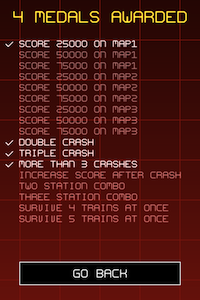 You get medals for various achievements like a high score on a map, and also for a variety of other things I cooked up, like managing to crash lots of trains at once.